Steel girders frame the future machine shop of ACES, which will allow us to accommodate larger projects. Ribs of massive metal beams cast shadows over a slab of newly poured concrete behind ACES’ current shop. By the summer of 2017 this space will house a new machine shop for metal fabrication of large-scale items like multiple safety showers or refurbishing of boilers and ovens. The 100′ x 120′ space will double ACES current production space, and will be in addition to the current panel shop where we already have the capacity to build an order of two to three large cabinets concurrently, or a dozen small ones. In addition to accommodating larger projects, the new machine shop will allow us to complete more projects in-house instead of farming out parts of the process. As part of this initiative, the current office space will become a certification lab. Temperature recorders, meters and other sensitive instruments need to be certified and calibrated — as of next year ACES will be able to do this for our own tools, as well as offer this new capability to customers. Look closely at the photo of our future office space and find the coils of orange hosing for heated floors. In the past three years we’ve almost doubled our employee head count from 14 to 25. 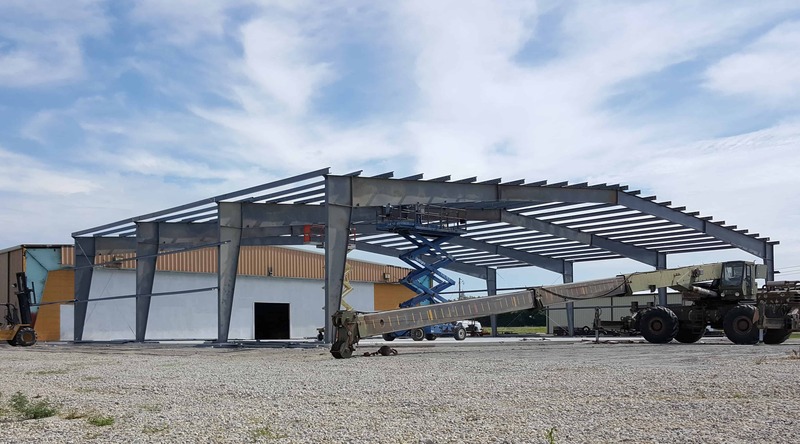 Now, as part of a long-range plan, we have a vision to double that number again, and are building a new office space as an addition to the front of our current shop to house the new personnel. We look forward to a new conference room, reception area, break room, kitchen and offices all bustling with engineers, production workers and support staff, in addition to technicians in the field. Other amenities include sidewalks and a carport for our fleet of company vans. 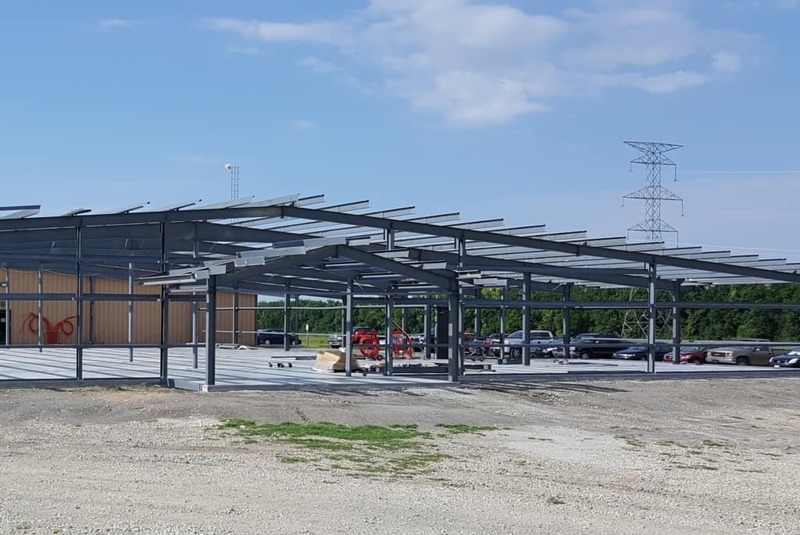 Altogether the addition will triple our current space as we grow from just under 10,000 square feet to over 30,000 square feet in total area. Follow our Facebook page for more photos of construction in process. We’re excited about the coming changes, and look forward to having the capacity to serve all of our customers in new ways.